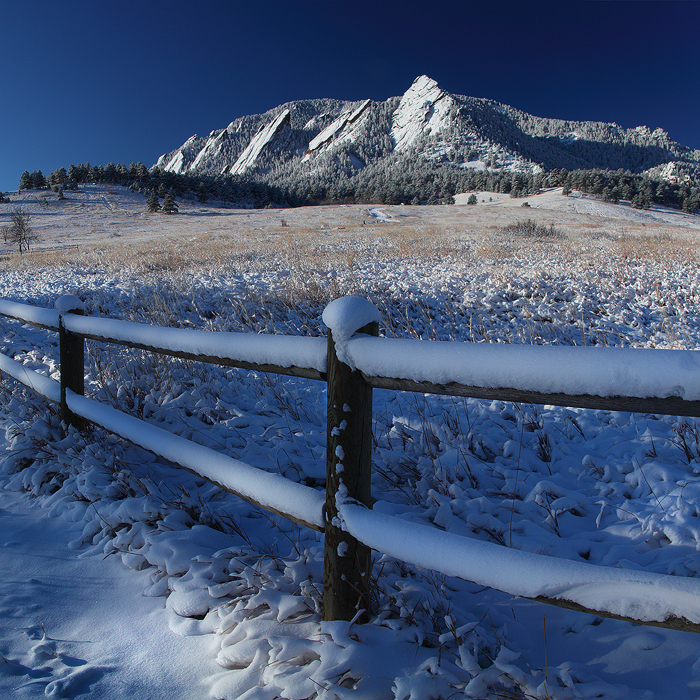 The magnificent Flatirons, the universal symbol of the city of Boulder, jut out of Green Mountain like giant Icebergs on on this frigid February morning. This iconic scene is part of the Fountain Formation. Fountain Formation rocks can be seen in many areas along the Front Range of the Rocky Mountains of Colorado. Other notable locations include Garden of the Gods and Red Rocks Park and Amphitheater.